holy, moly, 2017 ranch apprenticeships! Great news! 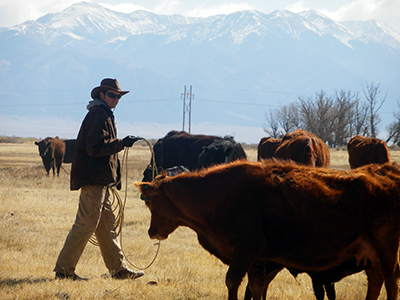 We found a couple exceptional ranching apprenticeship opportunities with The Quivira Coalition New Agrarian Program. The organization is seeking some eager greenhorns for several 2017 positions on ranches out west. The New Agrarian Program offers apprenticeships in regenerative agriculture through partnership with mentor ranchers and farmers who are part of the Quivira community. In particular, this program aims to build resilience on Western lands by training the next generation of stewards in agricultural best practices, and by training ranchers and farmers to be mentors. Our apprenticeship program works closely with carefully selected rancher and farmer mentors who are dedicated stewards of the land; practice beyond organic, regenerative methods of food production; provide excellent animal care; and who are natural teachers for young agrarians. There are still 4 positions open! Eight-Month Ranching Apprenticeship in Rush, CORound River Resource Management, LLC is a land resource and livestock management company dedicated to restoring and improving agricultural operations through the principles of Holistic ManagementTM in a sustainable manner and consistent with the goals of the resource owner.The name Round River is derived from the metaphorical river described by Aldo Leopold that flows endlessly into itself, circling around and around in a never ending circuit that symbolizes the current of life. Leopold’s illustration describes the manner in which energy streams from the soil into plants, then into animals and finally back into the soil in a continuous circuit of life. Round River Resource Management was founded in 2008 to manage the Brett Gray Ranch and other agricultural enterprises following the principles of Holistic ManagementTM and to provide educational and business opportunities that help young, innovative people enter the ranching business.Start Date: Flexible start date. TO APPLY: Please email a resume and letter of interest to Louis Martin at louis@roundriver.biz. Eight-Month Ranching Apprenticeship in Chico, CAThe Cobblestone Ranch is a sheep operation based on private property and on federal wildlife refuge lands managed specifically for wildlife habitat. Breanna Owens runs approximately two hundred ewes (with expansion plans over the next few years to increase to five hundred ewes). She uses a rotational grazing strategy on the refuge with the overall goal of maintaining and enhancing wildlife habitat and specific goals of reducing thatch, shrub and weed control, and stimulating new herbaceous growth. She moves the sheep one to two times a week, in paddocks ranging from one to five acres depending on seasonality and management objectives. Owens sells lambs as grass-fed and -finished either as feeder lambs to a direct marketer or as finished lambs to a regional processor. She plans on transitioning a portion of the flock to organic and selling through a regional CSA.Start Date: Flexible start date. TO APPLY: Please email a resume and letter of interest to Bre Owens at breowens5@gmail.com. Eight-Month Dairy and Cheesemaking Apprenticeship in Durango, COJames Ranch Artisan Cheese manages a small herd of Jersey cows for the production of raw milk and small-batch cheeses in the beautiful Animas Valley near Durango, Colorado. Operated by Dan and Becca James, James Ranch Artisan Cheese is one of several family-run enterprises on the larger James Ranch. This dairy and cheesemaking apprenticeship offers professional training for aspiring agrarians committed to a life and career at the intersection of conservation, sustainable agriculture, and artisan foods. The apprenticeship includes hands-on experience with all aspects of dairy operation and cheese production, including low-stress animal handling, milking, cheese making, affinage, biological monitoring, marketing, financial planning, Holistic Management, and land stewardship.Start Date: Before April 1. TO APPLY: Please email a resume and letter of interest to Dan and Becca James at cheese@jamesranch.net. Eight-Month Grain Farming Apprenticeship in Havre, MTVilicus Farms is a first generation, nationally recognized organic, dryland crop farm located in northern Hill County, Montana. 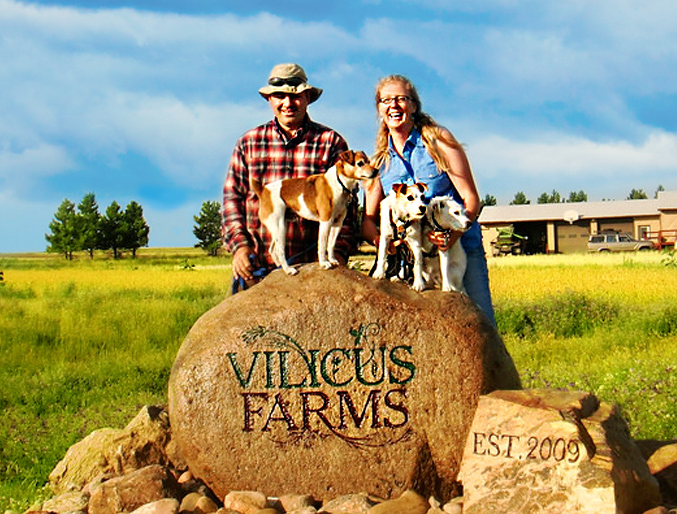 Established in 2009, Vilicus Farms grows a diverse array of heirloom and specialty grains, pulse, oilseed and broadleaf crops within a 5+year rotation on approximately 5,000 acres. Vilicus Farms practices advanced land stewardship at a scale that matters. The Vilicus Farms Apprenticeship is intended to be a multi-season training and mentoring program that immerses highly motivated young professionals in organic farm operation and management – a journey that ultimately ends in farm ownership. Doug and Anna understand the challenges of taking a farm from vision to reality. 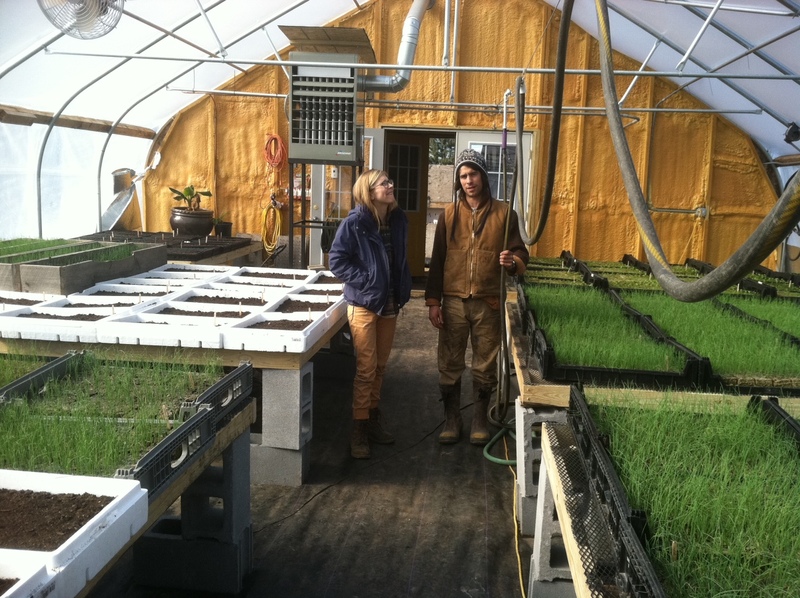 Through the Vilicus Farms apprenticeship program they hope to give beginning farmers a real opportunity to start a successful organic dryland crop farm in the Northern Great Plains.Start Date: Before April 1. TO APPLY: Please email a resume and letter of interest to Anna Crabtree-ones at anna@vilicusfarms.com. Leave a Comment on holy, moly, 2017 ranch apprenticeships! Applicants must have a keen interest in farming and becoming a farmer. They must be self-starters, have the ability to work independently, appreciate the challenges and joys of working outside in all conditions, be a solid problem solver, with an open creative mind, and embrace diversity. The chosen applicants must be mature individuals and excited to engage in their own learning process. This first year position is designed to provide an immersion experience in all facets of the dryland organic crop farm enterprise. Apprentices will work under the direct supervision of the farm managers. Specific training will be tailored to the skill sets and needs of the apprentice. Apprentices will be an integral part of the Vilicus Farms team and are expected to participate fully in the daily work planning sessions, weekly/monthly team meetings and visioning discussions. Apprentices will participate in the physical labor of the operation as well as the mental challenge of all aspects of the management of the farm business. To apply and to learn more about the position and Vilicus Farms, click HERE. You can also check out the Quivira Coalition HERE – they do awesome work and offer other apprenticeship opportunities throughout the American West. Spend your summer outdoors, get your hands dirty and experience the tough and rewarding work of farming or ranching in Montana. Amid the breathtaking views and endless wilderness recreation, Montana boasts an incredible range of agriculture. On Farm Link Montana, you can find jobs producing wheat and pulses, organic vegetables, cattle, dairy, hops and more. This FREE web resource connects job and internship seekers with Montana farms and ranches. The site features a map displaying farms and ranches with open positions, which are searchable by type of production. Read information about each operation and fill out one common application form to apply for all the jobs that interest you. Although each position is different, most jobs and internships run the whole season, April to November. Apply now as many farmers and ranchers do their hiring during the winter months. The Quivira Coalition’s New Agrarian Program (NAP) partners with skilled ranchers and farmers to offer annual apprenticeships in regenerative agriculture. Together, we create opportunities for comprehensive, full-immersion experiential learning from expert practitioners in professional settings. This program is designed to support the next generation of food producers and specifically targets first-career professionals with a sincere commitment to life at the intersection of conservation and regenerative agriculture. NAP mentors are dedicated stewards of the land; they practice intentional, regenerative methods of food or fiber production, provide excellent animal care, and are skilled and enthusiastic teachers. Putting food from local farm fields onto dinner tables in Polson, Montana, (pop. 5,000) is about healthy eating and a whole lot more.The Polson Food Hub, part of the Montana Co-op, is a place where people not only pick up locally produced food, they might also stop by to take boxing lessons, make salsa, learn how to mix and record music or try traditional tribal dance. HECK YEA. Learn more about them here! The Rodear Initiative (RI) is a pilot project for an innovative management system designed to improve the health, diversity, and productivity of public and private rangelands in the Northern Rockies. The RI is working in partnership with Keystone Conservation and other project partners. 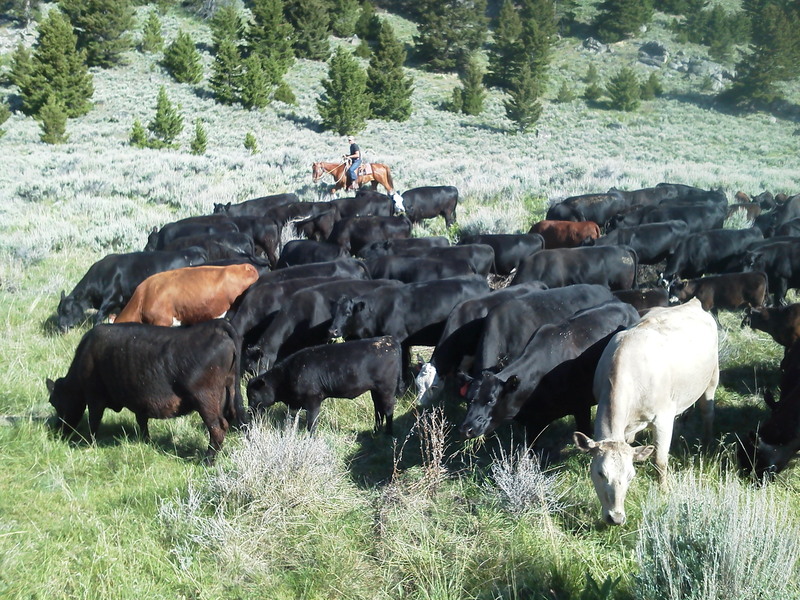 Project operations are conducted on a National Forest summer grazing allotment outside of McAllister, MT. The Range Technician/Rider will be a contract, full-time, seasonal early June and ending in mid October, with the potential to become permanent seasonal. The position may be filled by an individual or couple. A new interactive online map created by Montana’s Department of Agriculture paints a picture of the potential for improving Montana’s food system infrastructure and providing new economic opportunities for agriculture and locally-grown food products. Based on the outcome of a 2011 economic analysis commissioned by Lake County’s Community Development Corporation, Nancy Matheson and her team undertook the massive chore of coding and labeling each establishment that is part of Montana’s system of food commerce including producers, processors, distributors, retailers and more. Matheson, who is the special projects coordinator for the Agriculture Marketing and Business Development Bureau of the Montana Department of Agriculture, said the map will always be a work in progress as data is updated, but for now, the U.S. 93 corridor along the five counties in Western Montana is the most comprehensive. 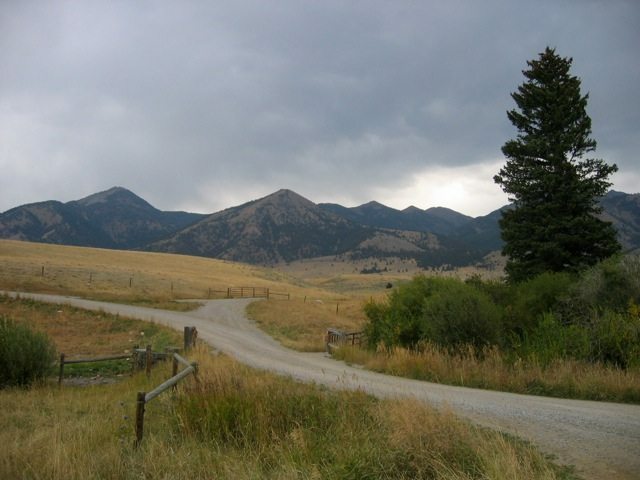 outside of Missoula, Montana – October 26-28th, 2012. Come get your hands dirty & get inspired to heat & cook more efficiently! Rocket Mass Heater & Rocket Stove projects & applications, with instruction from Ernie & Erica Wisner. 3. J-tube rocket cook stoves – Super Classy Version, and Simple version made from available materials. Dream Projects: Touching on the topic of “Boom Squish” – using a Rocket Mass Heater to heat water & in place of a wood boiler system. There are 24 seats available, at $320/person, until August 15th. After August 15th, registration is at full price: $400/person. The Sun Ranch is located in the upper Madison River Valley of southwestern Montana, about 30 miles south of Ennis. The Sun encompasses approximately 25,000 acres of deeded land and grazing leases. The ranch is committed to conservation and improving the health of the land for wildlife and livestock through progressive management. The Sun’s livestock operation seasonally grazes yearlings, spayed heifers, pairs, and replacement heifers for income and to improve wildlife habitat. The grazing season is carefully planned, taking into account the forage resources required for wildlife and using cattle impact to improve the quality of forage for other species. Because the ranch is such a wildlife corridor, many of the old barbed wire fences have been removed and much of the ranch is unfenced. Therefore, temporary electric fence, “let-down” high-tensile wire fence, and herding are used to achieve grazing objectives.